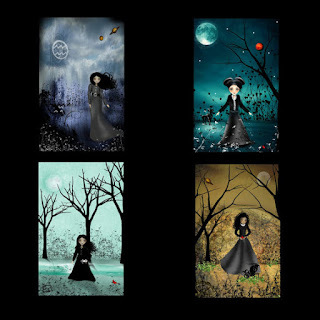 I squealed when I saw these awesome prints and paintings by RusticGoth. They are so cute and make perfect gifts for throughout the year for my friends. 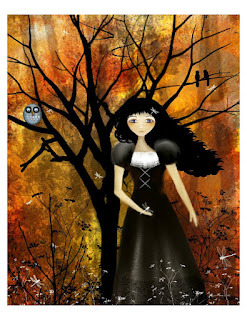 She has a vast selection from her own creations to things like Alice in Wonderland. 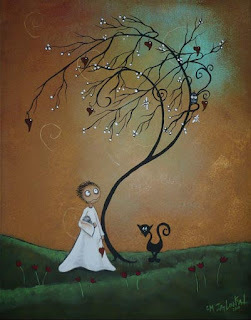 Her style also differs in each painting or print. Here are a few, if not a lot, of my favorites. I hope you will enjoy these as much as I do! 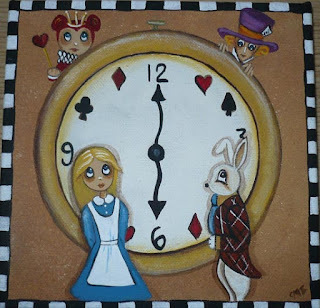 These Whimsical Alice in Wonderland Canvas Paintings are to die for. I have many friends who would love to hang either one on their wall. The first one is called "We're late". 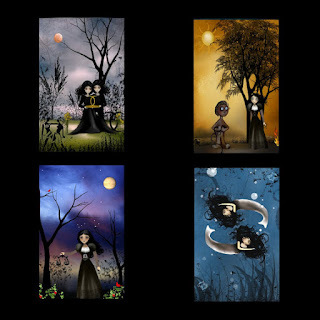 I love her doll-like art style she uses to portray all the characters, including the White Rabbit, which is an original painting. She states "Prints don't do this painting justice," so it's one of a kind! She used acrylic paints on a prestretched canvas measuring about 6x6 inches. The other is called "Her Name is .. Um". Another doll-like painting, capturing the very confused expressions on flower's faces. This is also an original painting. This was created with acrylic paints as well and made on a prestretched canvas that is 9x12 inches. 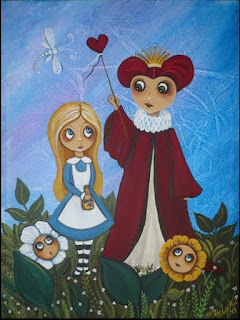 Check out her other really awesome Alice in Wonderland paintings here. 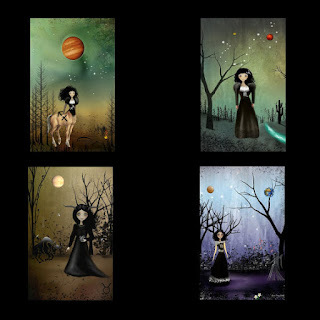 Shown above are a whole range of Zodiac Goth Sign prints. If you're like me, you'll want all of them. The Mini Print Collection has all 12 of the zodiacs. Each print measures about 4x6 inches that are made with rich dye based inks. The individual prints, for instance my sign, Aries, is about 5 x 7 inch print that was printed on 8.5 x 11 inch archival premium Epson matte paper, using rich dye based inks. All the rest are exactly like it! I really enjoy the differences in style from Alice in Wonderland to this! 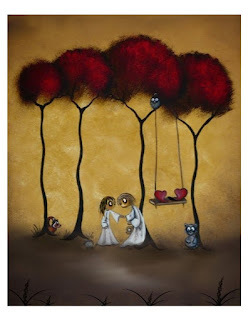 Other prints such as the ones above called "Time" and "In an Autumn Forest" can come in a variety of sizes. They range from 5x7 inches to 11x14 inches. 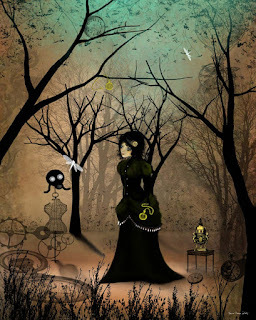 These are stylized goth girls that also have a steampunk feel. These particular prints are some of my favorites. They are beautifully designed, like many others that I haven't mentioned. There are really so many that I adore, it's hard to feature only a few. Seriously! Check out RusticGoth's full inventory! They are really unique and amazing.